Can most of the blame for California’s devastating wildfires be attributed to the state’s forest management? Fire scientists recognize a larger effect from climate change in promoting abnormally dry conditions and dead trees. The first nine months of 2018 have been the fourth-warmest on record for California. This past summer was the second-hottest on record in the state. An additional factor is the encroachment of urban development on wildlands. Most of California’s forests are under federal or private control. US agriculture and interior secretaries Perdue and Zinke are pressing for farm bill authorizations in the current House version of the bill (Forestry Title of H.R. 2) which includes amendments mandating a controversial expansion of “categorical exclusions,” which allow land managers to fast track forest management projects and largely bypass environmental review. Read the transcript for a National Public Radio interview with Agriculture Secretary Sonny Perdue, who oversees the U.S. Forest Service. According to Dr. Chad Hanson, director and principal ecologist for the California-based John Muir Project, logging, including many projects deceptively promoted as forest “thinning,” removes fire-resistant trees, reduces the cooling shade of the forest canopy and leaves behind highly combustible twigs and branches. Read more:… The California fires took place in some of the most heavily logged areas of the Sierra Nevada range. A study by Hanson and others of whether increased forest protection corresponds to higher severity in frequent-fire forests of the western US found that forests with higher levels of protection had lower severity values even though they are generally identified as having the highest overall levels of biomass and fuel loading. Some of these researchers have hypothesized that as forests mature, the overstory canopy results in cooling shade that allows surface fuels to stay moister longer into fire season. This effect may also lead to a reduction in pyrogenic native shrubs and other understory vegetation that can carry fire, due to insufficient sunlight reaching the understory. In general, their findings—that forests with the highest levels of protection from logging tend to burn least severely—suggest a need for managers and policymakers to rethink current forest and fire management direction, particularly proposals that seek to weaken forest protections or suspend environmental laws ostensibly to facilitate a more extensive and industrial forest–fire management regime. The September 2018 field guide to the minimum requirements for logging Best Management Practices in Kentucky (FOR-130) is now available from the University of Kentucky Cooperative Extension Service. The practices are designed specifically for logging operations to use before, during and after timber harvesting. If implemented correctly they will reduce or eliminate water pollutants that have the potential to be generated from logging operations where drainage channels and water bodies are present. The guide contains recommendations that can be used to effectively and efficiently implement the minimum requirements. KWOA participated in a September 19th meeting with this organization which coordinates the distribution of funds received by the state as a result of the tobacco settlement. 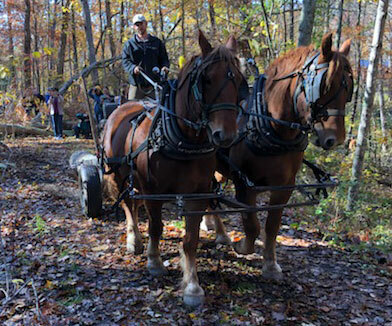 There appears to be an opportunity for KWOA to initiate innovative programs that would be expected to result in more Kentucky landowners actively managing their woodlands. These might include education and/or demonstration programs administrated by others. KWOA and others are in the process of gathering data to submit to the Farm Service Agency for approval of an application for assistance to woodland owners for Emerald Ash Borer losses. There is also renewed interest in the Health Care Task Force which KWOA was instrumental in establishing. A meeting to explore starting a new task force is scheduled for December 5 at the UK Extension. Sections of the policy book are being changed to better reflect the role of forestry in the organization. The Forestry Commodity Session at the KFB annual meeting will be held November 29. Forestry will be included in Harlan County educational programs. KFB is encouraging the formation of a new program called “Ag in the Mountains,” which will include forestry. Input on what might be included in these programs is welcome. Segments from the extension’s fall weekly radio program “From the WoodsKY” [https://forestry.ca.uky.edu/fromthewoodsky] are archived for those who would like to listen to them. Topics include Christmas trees, herpetology, Robinson Forest, bats, urban forest initiative, fall colors, martial eagles, black bears, green forests work, forest health and what is forestry? The extension is also launching a webinar series – Getting to Know Your Woodlands: A Primer for Beginners. The 4-5 two hour webinars will be held at county extension offices and other meeting spaces. Topics will include the southern forest and your woodland, getting to know your woodlands, managing your woodlands, identifying and managing woodland threats and wildlife and woodlands. The webinars will run on Thursdays from 7-9P (EST) on February 21, February 28, March 7, March 7 and an option field tour or extra local session on March 21. 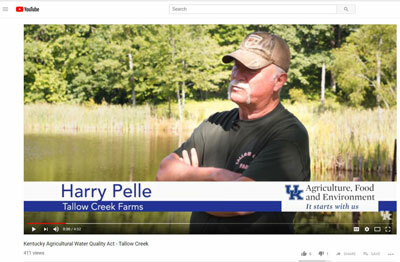 The extension has produced a new video of its student Kentucky Leadership Program which will be run at the KWOA annual meeting. The Kentucky Tree Farm White Oak Initiative will hold a December meeting at Buffalo Trace Distillery in Frankfort. The American Tree Farm System’s national meeting will convene February 26-28, 2019 in Louisville. USDA Natural Resource Conservation Service Jared Calvert said the allocation for EQUIP has not been determined. Woody residue treatment for ash has been recommended for EQUIP funding at $700 per acre. White oak promotion, rare and declining habitat and prescribed burning are also factors in EQUIP rankings.